to an average loss of 1,500 annually from 2008 to 2012. Modest immigration from other countries at all ages supplemented the domestic migration gains analyzed here. 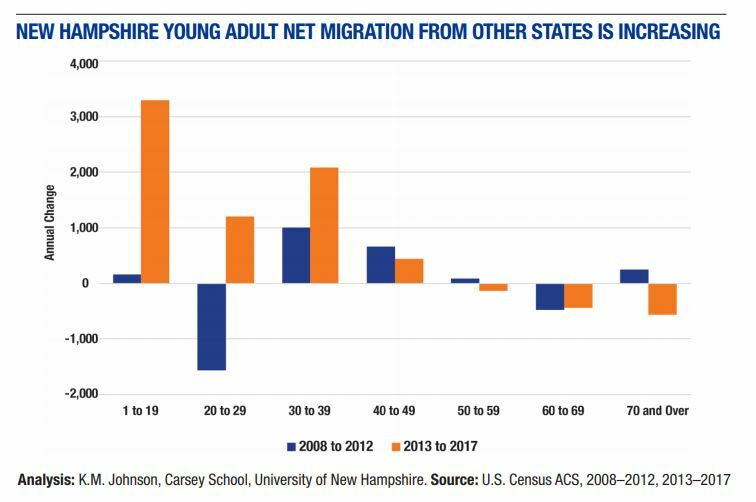 These recent domestic and immigrant migration gains are both modest, but they provide additional human and social capital to a state challenged by an aging workforce and population.